5 Best Exterior Paint Sprayer: Paint Your House Like A Pro! You could search for some professionals in your area. 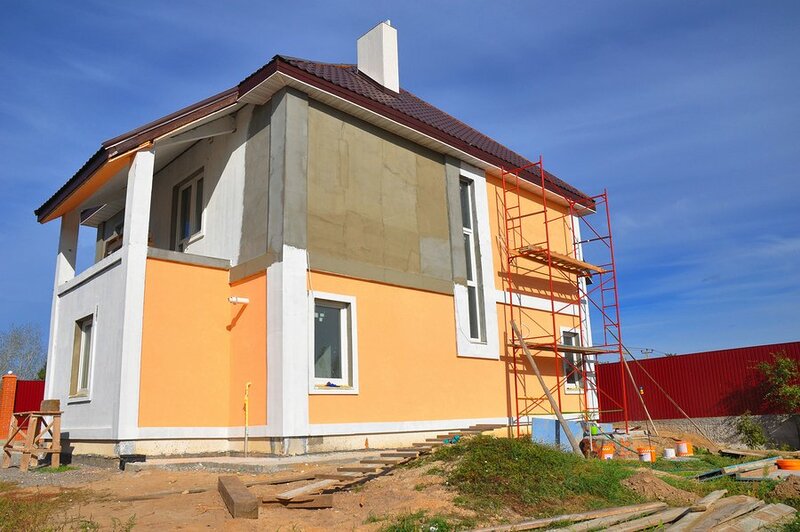 Instead, why not save yourself some money by painting the exterior of your home by yourself? It isn’t as hard as you would think, especially when you have the best exterior paint sprayer. What can seem like a daunting task will take you no time at all! Simply follow my handy guide to find the best paint spray for exterior surfaces and you’ll be done painting sooner than you thought. The neighbors will take notice of the paint job and you will feel proud knowing you did it yourself. You’ll find two main types of paint sprayers on the market: sprayers driven by air and airless varieties. An airless sprayer will pump the paint from the container, through the hose, and out the spray gun nozzle. These are best when you are using thicker, latex paints but can also accommodate thin stains. This is your fastest option when looking for a paint sprayer for the exterior of the house. High-volume, low-pressure sprayers are using air to push the paint into the nozzle. This will create a mist-like spray pattern. This sprayer will provide a high level of transfer efficiency. These are best for thicker paints and generally get used indoors or on small to medium exteriors. There are many different paint sprayers on the market and you could easily become overwhelmed. You are going to want to find a trustworthy brand such as Wagner, Fuji, Titan or Graco. Also be sure you aren’t choosing a small, handheld sprayer because they just won’t get the job done quickly. You need a large and powerful airless or HLVP paint sprayer, especially when working on the fence, house, barn and more. Save yourself some time and check out my five picks for the best exterior paint sprayer. Graco is a leader in the market and a great option when looking for the best paint sprayer for the exterior. The fully adjustable pressure will allow you the ultimate in control over any paint flow during any project size. Featuring a stainless steel piston pump, this sprayer will allow you to spray paint that is unthinned at high pressure. The flexible suction tube will allow you to spray from either a 1-gallon or 5-gallon paint bucket. You can even use this on up to 125 gallons per year, so you can get all your projects done! The PowerFlush Adapter connects to your garden hose when you are ready to clean it easily. You can use up to 75-feet of paint hose to reach all the projects you need to accomplish. If the paint on this sprayer should get clogged, it comes with an RAC IV SwitchTip so you can keep going. Why is the x5 my Top Choice for Exteriors? This Magnum Graco is easy to use, runs powerfully, provide a professional finish and is simple to clean up. All these factors combined make it my recommended choice for home use. If you want a commercial or professional quality paint sprayer then check out my guide here. Pay attention to this Wagner sprayer when searching for a great paint sprayer for the exterior of the house. It features a lightweight and compact spray gun that is ideal for reaching those areas that are difficult to get to. The professional grade metal cup is great for the smaller, fine-finish applications. This model suits any job with the variable flow trigger that dials in a spray pattern width of 1-inch to 10-inches at a time. The powerful, two-stage turbine will spray latex and the thinner substances like stains and lacquers. Just use the variable air pressure control to provide overspray protection when using thinner materials. The 20-foot high-flex air hose extends your reach when working outside and you even get 3 spray pattern options. This sprayer is versatile enough to be used on the fence, deck or side of the home. Homeowners beware though, I love and use this Wagner model on smaller areas of my house and not to cover huge surface area. Another one of my choices as the best paint sprayer for exterior work is this Wagner model. It features replaceable filters to keep particles out of your paint. The variable flow trigger will help to control the paint flow for each individual project. The 1-1/2 quart cup is ideal for even your largest task and this can be used both indoors or out. This is a great tool when you want to spray stains, sealers and other lighter bodied materials with a maximum control and low overspray. It comes with three available patterns: vertical fan, horizontal fan and round. The Lock-n-Go technology that is offered will also give you quick material change to keep you moving. This is the little brother of the 080 control spray above. It works with similar power and precision, meaning it is best suited to smaller areas such as porches, railings, trims, and windows. Go for this model if you are absolute beginner who only needs to cover a small area or touch-up job. Use this paint sprayer for the exterior of the house with the fully adjustable pressure for ultimate control. The stainless steel piston cup will allow you to paint even unthinned at high pressures. You can use the flexible suction tube to spray directly from your 1-gallon or 5-gallon paint bucket. In addition, the PowerFlush Adapter can connect easily to your garden hose for fast cleanup. You can use up to a 100-feet of paint hose so reaching anywhere on the exterior of the house shouldn’t be an issue. The RAC IV SwitchTip will even allow you to reverse the tip if it gets clogged, so you’ll never have to stop spraying. The Graco x7 is the bigger, stronger version than the x5. I recommend it to those who have a larger house or barn to spray and may also do additional painting throughout the year. It has similar features to the x5. You can compare them both here. While this isn’t as well-known of a brand, it still offers quite a bit of competition in the market. The 2800 PSI, ½ HP motor is capable of spraying 0.24-gallons in just one minute. It stands on strong legs that offer the best in stability while spraying. You’ll also enjoy the swivel that is included for the spray gun. The 515 spray tip is reversible so you can clean out a clog quickly. You’ll also take notice of the wear resistant, non-sticking ceramic inlet valve. There is a distinct color change between the cup gun line and the Low Boy contractor grade line so you can tell the difference. Homeright are an excellent brand who cater to the homeowner. This model is a solid performer although I do prefer Graco when painting outdoors. Hopefully, you now see that you don’t have to spend your money on professionals every time you need an exterior paint job done for your house. Simply purchase the best exterior paint sprayer and take control of your household needs while saving money.